To help residents gain their highest wellbeing. We provide compassionate transitional health care to Iowans at all walks of life, and we also care for the family's wellbeing. We are committed to providing compassionate, dignified and custom care for almost any need. We offer rehabilitation services, skilled nursing care, long term care and, when the time comes to transition to end-of-life care, we can coordinate compassionate hospice care. Improving quality of life for Iowans and their families during life's health transitions through compassionate individualized care. Commitment to continuously improve quality in everything we do. Demonstrate compassion, integrity, respect and dignity in all interactions. Compassionately serve others and their needs as defined by them. Cultivate a culture of skill development and personal growth among all staff. Recognize the power of teamwork to make effective, efficient and transparent decisions. Commit to consistency and excellence in all processes. 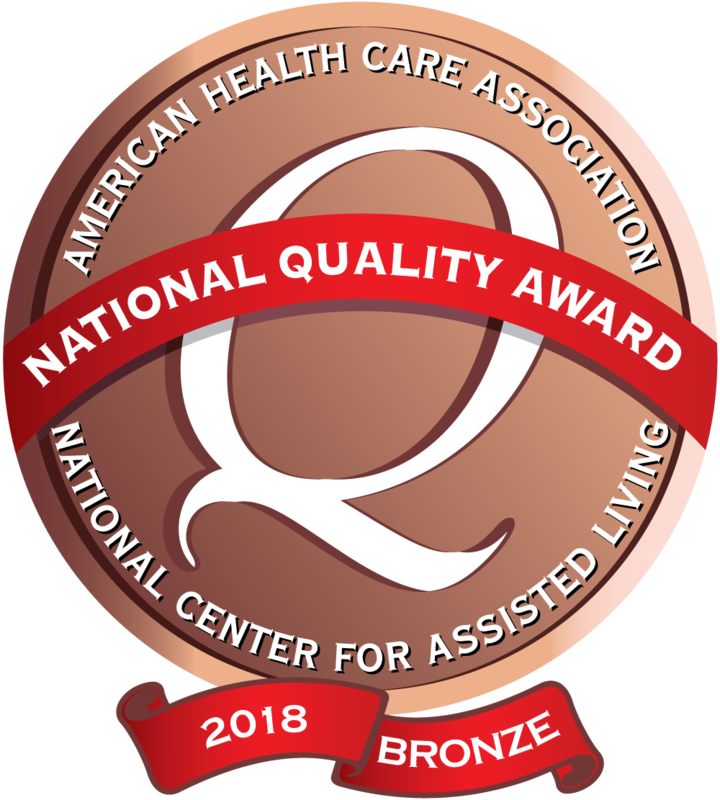 *Manly Specialty Care has been recognized by the American Health Care Association with 2018 Bronze Award. Skilled nursing care facilities are licensed healthcare facilities that are inspected and regulated by the Iowa Department of Inspections and Appeals. These facilities are staffed by registered nurses, licensed practical nurses, certified nursing assistants and a variety of therapists as well as other disciplines in dietary, social services, activities, housekeeping, laundry and administration. All Care Initiative’s locations provide 24-hour care or skilled nursing services. We offer long- and short-term care for individuals who need more assistance than an at-home caregiver can provide. We provide rehabilitation services and care for those who suffer from serious or persistent health issues, such as Alzheimer’s disease, COPD, or Chronic Heart Failure. As the largest non-profit senior healthcare provider in the state, we take our jobs very seriously and are committed to providing care with compassion, dignity and respect. We offer one-on-one physical therapy, occupational therapy and speech therapy; nutritious meals; laundry service; social and activity programming as well as 24 hour individualized nursing care. With over 3,000 staff members serving an average of 2,500 of Iowa’s elderly, our commitment to the best quality care, compassion and respect is our top priority. Care Initiatives facilities are Medicaid and Medicare certified. Most of Care Initiatives facilities have incorporated Accelerated Care Plus Therapy, a cutting-edge therapy system which is non-invasive and medication-free. ACP Therapy addresses a wide range of prevalent conditions including pain, inflammation, neuromuscular re-education, stroke recovery, contractures, urinary incontinence, wounds, joint replacement recovery, chronic obstructive pulmonary disease (COPD), rheumatoid arthritis, knee osteoarthritis, herpes zoster and fall prevention. ACP’s rehabilitation programs are built around proven medical technology, called “Therapeutic Modalities”. Devices such as infrared therapy and ultrasound can help reduce pain and inflammation. Additionally, they may use electrical stimulation to increase circulation and simple exercises to improve flexibility, strength and balance. By introducing these treatment options, therapists are able to improve outcomes for a broader range of patients and more medically complex conditions. When medical, memory, or aging issues reduce your loved one’s ability to safely stay in his/her home, but he/she is still largely independent, assisted living may be the best option. Your loved one may still desire the privacy and autonomy, but may need a little assistance – cleaning, laundry, minor home repairs, cooking. Care Initiatives Assisted Living locations offer several amenities including outdoor gardens, internet access and opportunities to socialize. Our facilities were created to allow older Iowans to “age in place” while having access to high quality healthcare nearby. By taking advantage of Care Initiatives Assisted Living you will experience the full-service, caring compassion you deserve. Care Initiatives does have eight locations designated for low income Iowans. Those locations are: Avoca Lodge, Circle Terrace Lodge in Manly, Dunlap Assisted Living, Estabrook Lodge in Eldora, Lamoni Assisted Living, Odebolt Assisted Living, Panora Assisted Living, and Valley Lodge in Correctionville. Click here to learn more. We believe that every patient and resident has a right to beauty services that make them proud of their appearance. Our on-site beauty shops are available to help them do that. Residents can make an appointment with one of our friendly beauticians and schedule their next spa day. Discharge planning and home visits can be complicated, especially when dealing with persistent health care needs and health maintenance. But at Care Initiatives, our caregivers and staff will work with residents, patients and families to set expectations for a visit or permanent return home, and provide the necessary guidance for maintaining a custom care plan. We believe in treating every patient to the best of our abilities, which means administering care that is custom to the individual. Each patient or resident of Care Initiatives receives a customized care plan implemented by Care Initiatives caregivers, leading them to higher independence and quality of life. We carefully analyze the medical history of our patients and residents, and we implement the care advised by their doctors. Each patient receives treatment and care individualized to them and based on their health needs. Intravenous (IV) therapy is the fastest route to deliver fluids and medications throughout the body. It may be used to correct electrolyte imbalances, deliver medications, blood transfusion or as fluid replacement. It is particularly useful for elder patients who might not be getting as much fluids as they should and, because of the side effects of some medication, they have increased potential to become dehydrated. IV therapy gives the resident in need the right balance of water and electrolytes to keep their body functioning properly. Additionally, IV therapy is of particular use in cases where oral antibiotics are not effective. Medication management is one of the most important daily challenges for patients and residents. Care Initiatives nurses and caregivers are here to implement a medication management plan that works for each individual according to their custom care plan. We help patients and residents understand their medications, and we implement a management schedule that is safe, healthy and effective for each person. When the chores of daily living – bathing, dressing, grooming, etc. – become too much to handle, that’s when our occupational therapists step in. Occupational therapy is the use of treatments to develop, recover, or maintain the daily living skills of a patient whose normal routine may have been interrupted by illness, injury or surgery. Our therapists work one-on-one with each client and family to determine goals, offer a customized plan to improve the client’s abilities and ongoing evaluation to continue making progress. Additionally, occupational therapy can involve adapting the client’s living space to help toward greater independence. Care Initiative’s Outpatient Therapy is a form of therapeutic treatment offered to those who do not require hospitalization or 24-hour care. Our services are available to all members of the community and it allows for care close to home. We provide our clients with an initial assessment and follow-up supportive treatment. Outpatient therapy programs typically include one or more of the following disciplines: physical therapy, occupational therapy and speech therapy, which are provided by qualified and trained therapy professionals. Programs are tailored to meet the needs of individuals. Care Initiatives' Care Team has a goal of helping our patients maintain a dignified and proper quality of life. Controlling pain can be an important part of the process. Our Care Team will work closely with your physician and you to develop a compassionate plan for managing pain. Each Care Initiatives location helps provide access to pastors, chaplains and other religious leaders and services for the spiritual wellbeing of residents. Religious services are held regularly in Care Initiatives locations, and we will work with residents and their families to coordinate services if possible. Healing from a serious illness or injury can be a long road to recovery. Care Initiatives’ physical therapy program aims to help patients set goals and achieve them with the objective of restoring health and prevention of illness and injury. Our physical therapists will work one-on-one to customize each client’s rehabilitation program. We seek to address each individual’s health needs, including balance, strength training, flexibility and pain management. From group card games and social hours to special meals and outings, Care Initiatives is committed to making life fun and exciting for our residents. Weekly activities are planned and posted at each location, and all residents are welcome to attend. Families and friends are also always welcome to join us for activities and outings. Whether your loved one incurred a life-altering health event such as a heart attack or stroke, or a lengthy illness that has temporarily deterred returning home, Care Initiatives has the ideal alternative in our Rehab to Home program. Our dedicated staff of nurses and therapists will develop a program, by maximizing each individual’s potential, to allow your loved one to return to their prior level of functioning and return home if medically indicated. If an at-home caregiver or family needs temporary relief from the day-to-day care needs of their loved one, any of our care locations are able to assist. Sometimes respite care is used when a family or caregiver plans a vacation, needs a break or change of pace, or wants to trial a long-term care facility for possible placement at a later date. Contact your nearest location to learn more about how temporary respite care may be a solution for you or your family. We believe that each patient and resident should be able to choose what they eat, so Care Initiatives locations serve several menu options at each meal. Each choice is nutritionally balanced and can be customized to suit special dietary needs. We can accommodate many dietary needs for our patients and will work with their families and caregivers to understand and maintain a plan that works. Whether the dietary restriction is part of a resident’s health care plan or personal preference, we are happy to provide for their needs. With the increased risk of diseases such as strokes, dementia, head injuries, etc., the elderly often encounter problems in communicating. There may be problems in processing auditory information or mentally recalling an event or a word. Our speech therapists will conduct a thorough evaluation to determine if there is a language-based problem, the orientation of the problem and best possible treatment. We focus our efforts on helping each patient learn to process, organize or recall information, and offer some additional tactics of communicating, such as writing down information or recording it. We also work to help with swallowing disorders that are often the result of a stroke. Tube feeding, or enteral feeding, is a way to deliver needed nutrients and fluids through a tube if your loved one is not able to take food or drink by mouth. In some cases, it may be only necessary for a short time. In other cases, it can be a more permanent solution. Our capable staff is able to monitor and assure your loved one receives the best nutrition. As people age, skin integrity is an important factor in maintaining overall health. Our team of healthcare providers at Care Initiatives is trained in treating existing wounds should a patient be admitted with an existing pressure ulcer. Using the latest in medical technology, our nursing staff incorporates V.A.C. ® Therapy to promote wound healing. V.A.C. Therapy applies negative pressure through a patented dressing. When applied at the site of a wound, this vacuum-like pressure helps draw wound edges together, remove infectious materials and actively promote granulation for faster healing. We are grateful when family and residents feel compelled to share their great care experiences. Click on “Family Stories” to read more. Many thanks to the care center and the wonderful people who took care of Arlene and watched over her. You are wonderful. Thank you. The best group of people I have ever met. They are a God-send. I love them all for the great job they did taking care of my mom. She was loved by all of them, and she loved them all, too. Thank you for everything you did for our mother! We appreciate each and every one of you! Manly Specialty Care is a wonderful place! Thank you for the great care you give to my grandfather. Best quality care team I have every seen. Makes me feel great to know my grandfather is in good hands. Keep up the good work! Thank you just doesn’t seem sufficient for all that you guys did for Mom. It’s hard to put into words just how we all feel. Just want to let you know we are eternally grateful for everything. I want to thank everyone for the great care I received while at Manly Specialty Care. You all got me back on my feet. Thanks again!